London, 27th July 2012: Over a quarter of adults don’t know their own phone number, and can memorise just two of the contacts in their address book, according to a study by mobile security and backup software expert BullGuard. The poll of 2000 adults shows that we are becoming increasingly reliant on modern technology to handle the things we used to do ourselves. The average Brit has more than 50 contact numbers stored in their phone – but can only memorise two of them. When compared to the pre-smartphone era, two thirds of respondents said they could remember phone numbers from years ago that are no longer even active, and over one in twenty said they could rattle off more than ten numbers that were no longer in use. Speed dial and mobile phone address books mean Brits can no longer recall a phone number for their best friend, mum and dad or even their partner. 34% admitted to being left in a sticky situation as they were unable to contact a loved one after losing or breaking their phone, such as being locked out, being lost or breaking down with no form of contact. 60% of those polled argued there is just “no need” to mentally store phone numbers anymore. 40% said that they memorise “important numbers in case of emergency”, though these tend to be landlines only. Unsurprisingly, good old mum comes out on top when it comes to choosing which numbers to memorise. Only 17% of those polled know their spouses’ mobile phone number. Smartphones certainly seem to be at fault for this modern day phenomena, with nearly three quarters admitting that their rise in popularity has contributed to them having no knowledge of important numbers, even despite half of respondents saying they would be at a “complete loss” if their contacts list went missing. 25% believe it’s down to e-mailing more than phoning, and 37% said it’s because everyone texts rather than calls. While some modern users are forward-thinking enough to cater for this possibility, just 26% said they have numbers backed up on a computer, with 39% relying on the old paper-and-pen method of writing them down in case of emergency. 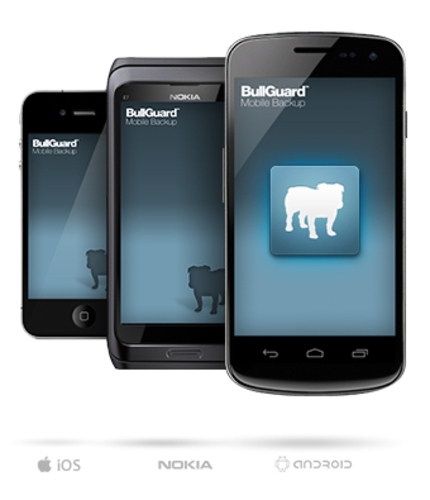 Launched in 2002, BullGuard is one of the fastest growing security brands. Its philosophy has always remained the same - to combine technical excellence with a genuine understanding of consumer needs, creating simple, easy to use products that deliver universal, complete protection as well as enabling customers to control and manage their digital footprint. In January 2012, BullGuard Internet Security 12 won the coveted “Best Buy” award from Which? magazine, achieving a perfect 5 out of 5 stars for protection and its firewall. BullGuard Internet Security 12 comes with an award-winning Antivirus program, Parental Control and Online Backup for your most valued files and precious photos. This press release was distributed by ResponseSource Press Release Wire on behalf of The PR Room in the following categories: Men's Interest, Women's Interest & Beauty, Consumer Technology, Computing & Telecoms, for more information visit https://pressreleasewire.responsesource.com/about.